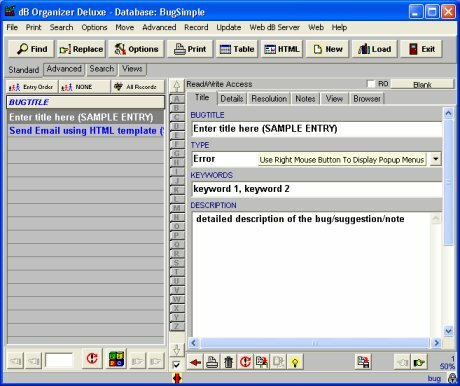 Bug Tracker / Bug Inventory is flexible bug management database template. 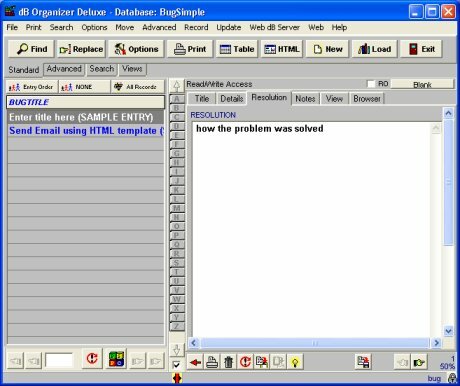 Use this template to track and organize information about all defects and changes in software products. 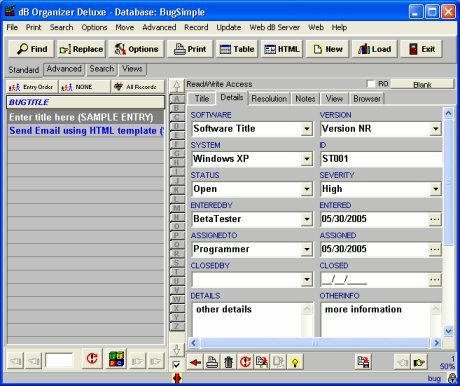 Manage bug related information including problem name, error type, keyword for future reference, bug description, software title and version number, operating system, correction status, problem severity, entry date, solution date, details, resolution information, and more.